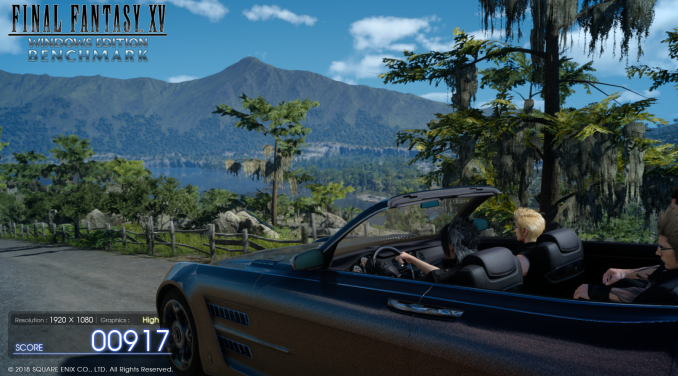 Upon arriving to PC earlier this, Final Fantasy XV: Windows Edition was given a graphical overhaul as it was ported over from console, fruits of their successful partnership with NVIDIA, with hardly any hint of the troubles during Final Fantasy XV's original production and development. 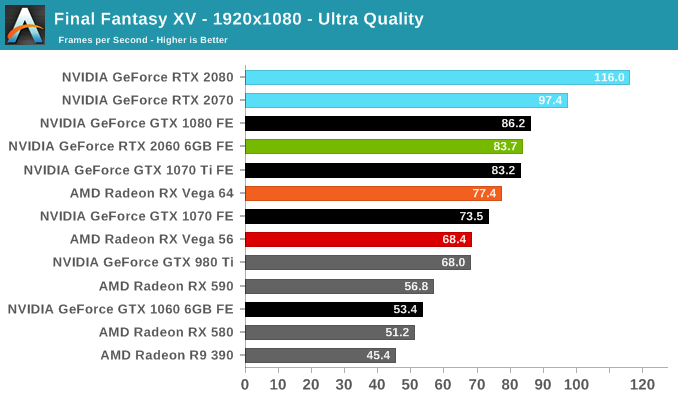 In preparation for the launch, Square Enix opted to release a standalone benchmark that they have since updated. 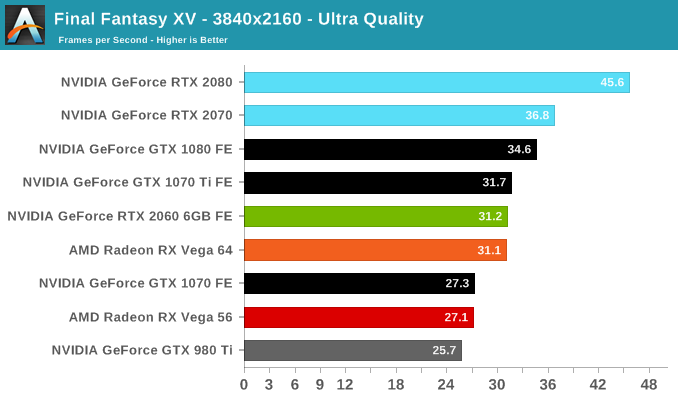 Using the Final Fantasy XV standalone benchmark gives us a lengthy standardized sequence to utilize OCAT. 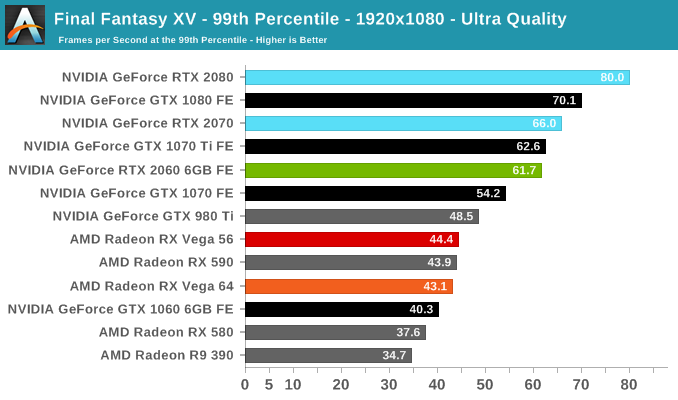 Upon release, the standalone benchmark received criticism for performance issues and general bugginess, as well as confusing graphical presets and performance measurement by 'score'. In its original iteration, the graphical settings could not be adjusted, leaving the user to the presets that were tied to resolution and hidden settings such as GameWorks features. 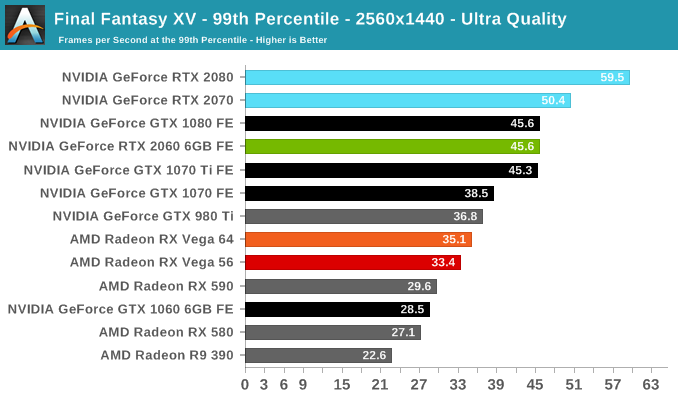 Since then, Square Enix has patched the benchmark with custom graphics settings and bugfixes for better accuracy in profiling in-game performance and graphical options, though leaving the 'score' measurement. 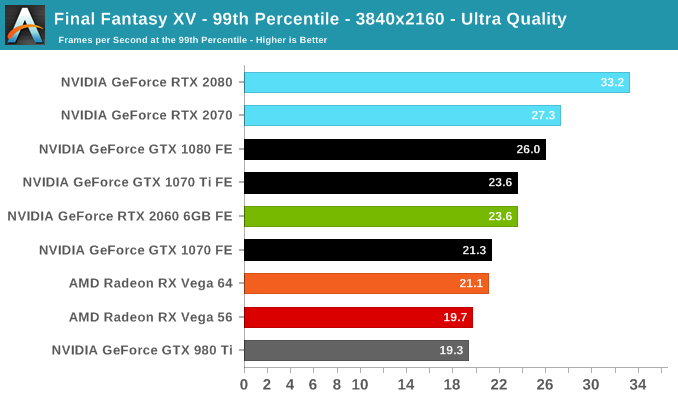 For our testing, we enable or adjust settings to the highest except for NVIDIA-specific features and 'Model LOD', the latter of which is left at standard. Final Fantasy XV also supports HDR, and it will support DLSS at some later date.